“The news is too depressing and too sad to read,” is a phrase that seems to be thrown around often these days. Yet without the news we would be lost. In fact, when the news is most depressing is when it’s most important to read and watch. We need to pay attention to the bad news. This way we know about what’s going on in the world and how we can make it better. 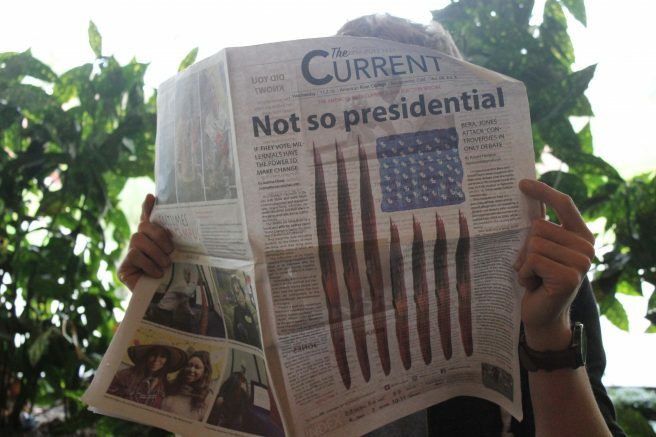 As college students, keeping up with current events is very important. We need to know what’s going on in the world, and with that knowledge we can make decisions towards our future. Without the news we would also have no record of history. People make mistakes, but we learn from them; history logs these mistakes, and without them how can we improve as a society? It’s also important to read and watch different sources of news, or do some of your own investigating into different news sources. For example, there are countless stories that are posted across Facebook that are either from unreputable new sources, like the National Enquirer, or from satire news sites like The Onion. It’s important to know the difference between “fake news” and actual credible sources. The more you are able to know the difference, the less chance you’ll spread misinformation. Some of the greatest changes that have been made for the betterment of people have been made because of the power of the media and the news. A great example of change brought about by the media, is what happened after Upton Sinclair’s “The Jungle” was published in 1906. “The Jungle” is a book about how meat was processed in the early 1900s. This book not only exposed how gross, and unsafe America’s meatpacking industry was, it was also responsible for the creation of the U.S Food and Drug Administration, and changes that were made to the way America produces food. Another example is Edward Snowden, an ex CIA employee who leaked documents that revealed how much information the U.S government was collecting on its citizens. Without the media, those documents would’ve never seen the light of day. This is an example of media doing its job as a government watchdog. Whether you think Snowden is a hero or a traitor, his leaks led to massive reforms in government via the USA Freedom Act. This act is an amendment to the Patriot Act, which stopped the collection and surveillance of civilian phone data. Now instead of the government collecting all of the data, the phone companies keep it, and the National Security Agency accesses it with permission through federal court. Without the media, our country would be in a very different state. You don’t have to watch or read the news hourly, just try to keep up with world events instead of turning a blind eye. Without the news, who will keep watch on society and make sure everyone is doing their part? 1 Comment on "Opinion: The importance of staying informed"